Do you love to hear the birds sing? 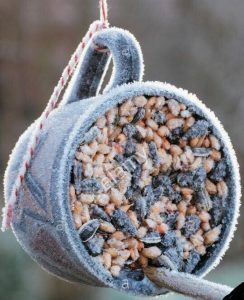 Well they will sure be singing when you hang this adorable bird feeder made out of a pretty little cup. $15 will pay for all your supplies and a drink of your choice. . Tickets must be purchased in advance.